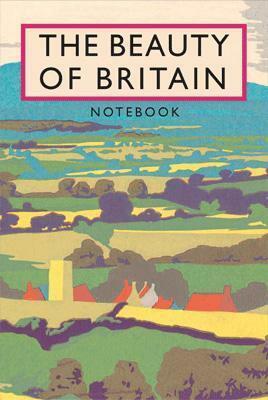 Brian Cook's illustrations of Britain, its cottages, churches, villages, and landscapes, are now iconic and highlight the best of Britain. These iconic images were originally commissioned for Batsford book jackets in the 1930s, 40s and 50s. His heightened use of color and flatÂ poster style has been muchÂ imitated but never surpassed. Each notebooksÂ is exquisitely finished with a cloth-bound cover, back pocket, and elastic closure. The inside pages are woodfree paper with alternate lined and plain pages. These journals are perfect for vintage book lovers.